Following her breakout debut release, Sarah has travelled the UK, Europe and Africa captivating audiences with her live performances in festivals, gospel events, conferences, as well as selling out her own headline gigs at London’s Hard Rock Cafe twice in 2017. In addition to collaborating with fellow UK Gospel heavy weights including MOBO winners Triple O, Lurine Cato and Volney Morgan & New Ye, she has also worked alongside some American Gospel icons such as Charles Jenkins, The Walls Group, Daniel Johnson, as well as Lisa McClendon and Fred Hammond who both feature on her sophomore album ‘Keep Walking’. Back in 2015 Sarah Teibo burst onto the Christian music scene with her first single, before getting a whole host of different nominations and awards for her first album "Walk With Me" which garnered a 9.1 rating on One Man In The Middle. 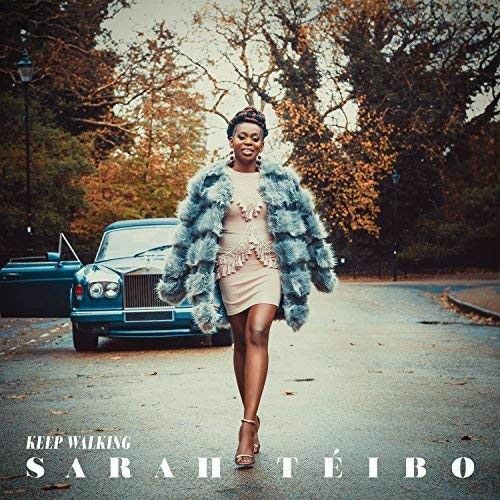 Not one to rest on her laurels Sarah has decided to "Keep Walking" for her second album release and this time it see's some great industry collaborations including her producers Luke 'GKID' Grant and Shaun 'Hypertone' Barrett as well as artists like Muyiwa, Fred Hammmond and Andrew Bello and more. Her own songs provided her with the motivation to carry on after the death of her Mother and also to deal with the anger, grief and sadness at that time. The album opens up with the lead single that was released in February. 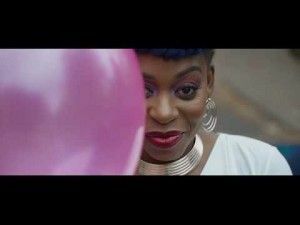 "Like a Child" features Tehillah Daniel and The Voice UK artist Jason Nicholson-Porter in this upbeat funky track. The theme is fairly simple, it's about trusting God, we don't know what's ahead, we don't know why He allows the things He does but we trust Him as our Father. This is clearly one of Sarah's favourite tracks as she includes a remix on the album as the last track, mind you she was working with one of her favourite artists, Fred Hammond! The album's title track is up next, and from the opening sweep of the harp, backed by bass and guitar, you know that this slower number is just going to be a pure encouragement. Sarah's vocals really shine on this lyrically fairly simple track. On "Walk With Me" Sarah worked with rapper Triple O, and on "Safe in You" she turns to TNeek and the blend that they come up with works well. Again the thought behind the song isn't straying too far from what has gone before, reminding the listener that when troubles come we know who to turn to, and we can be safe and confident in Him. "One Man" is NOT written about this website, Sarah has been very adamant about that! It's about a young woman waiting to find 'the one', the person who will stand by her for the rest of her life, support her in every decision, and that she will commit to as well. As a twice divorcee I know that this is the type of ideal relationship, however truly the One Man that will be there for life, the only one that is totally dependable is God. "Love" is billed in the track listing as an interlude and features a return of the harp and feels like it truly should be part of something longer. Again it is the vocals that stand out on this harp, guitar and bass short. 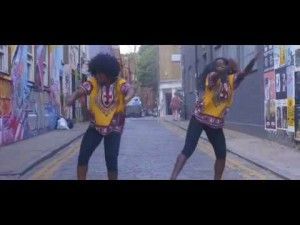 There's no time to dwell on the rest of this missing song as the Andrew Bello and Muyiwa collaboration "Blessed" kicks off making you forget about those troubles that went before. With it's afro-beats styling you can't help but be swept along by this track which reminds us simply how God provides everything for us, whilst giving credit that if we shine, then that is God shining through us. This brings us on to a bit of a testimonial song for Sarah as she discusses why she does everything that she does as part of her ministry. She doesn't do it for the money, for her family, she does it to "Make You Smile", to please God. Sarah has said in interview that this song is her favourite because there are time as an independent artist when it can be a struggle, but she just reminds herself that she is doing it all for God's glory. There is a family credit on "Lead The Way" as Sarah recorded this track with her daughter Michelle which must be have made for an interesting recording session! The song is once again reiterating the way that we follow Christ and His faithfulness to us in our lives. After this, and following the remix of "Like A Child", there is a final outro called "Live" which talks simply about living our lives, keep walking, and learning one day at a time. Once again Sarah's vocals take a slightly different lighter tone than some of the other tracks and it's a beautiful sound. Some of these tracks are not as strong as those from the previous album, maybe the expectation was higher because of the quality of the first album. Lyrically this album lacks some complexity whilst taking repeated looks at the same theme, but every track is lifted by Sarah's seriously strong vocals. I am not a big fan of the remix of "Like A Child" personally because I think it undermines Sarah's vocals, but plenty of people have enjoyed it! The collaborations with different artists, styles and twists on a theme are a step forward creatively from Sarah. It is another high-scoring album but, for me, it doesn't quite match the originality of the debut.